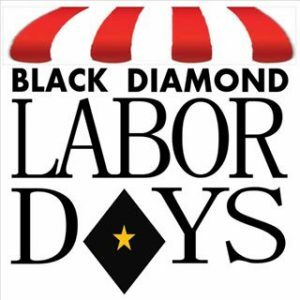 Ten Trails is proud to once again sponsor the Black Diamond Labor Days festival! For three days on Labor Day weekend, the City of Black Diamond honors its history with this historical celebration. Originally, a Fourth of July celebration for the coal-mining families in the city, Black Diamond Labor Days was moved to Labor Day weekend after WWII. 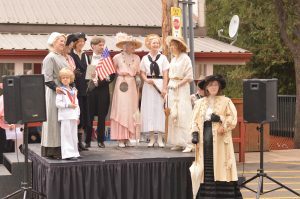 For more information on the history of the Labor Days Festival, visit the Black Diamond Museum! In the new master-planned community of Ten Trails, residents enjoy modern conveniences and style in a rural setting. Feel like you are on vacation and away from all of the hustle and bustle of the city when you relax in your new Ten Trails home, complete with modern amenities like 1 gig internet speed wired to every single home, and unique technological features in homes like the Lennar Wifi-certified smart homes. 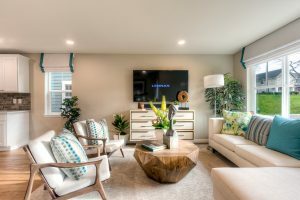 Throughout the community, find modern amenities and built-in conveniences like our retail shopping space, coming soon to the community, as well as parks, trails and gas fire pits in our common gathering spaces. As a resident of Ten Trails, you are also part of the larger Black Diamond Community. Close-knit and rooted in rich history, the city honors it’s longstanding traditions like Miner’s Day and Labor Days and celebrates its coal-mining history at the downtown Black Diamond Museum.